- I didn't think Nate Freese had a 55-yard field goal in him. Evidently, I was wrong. - Wow. Defensive tackle Nick Fairley was out there with the Lions' second-team defense late in the second quarter of the second preseason game. 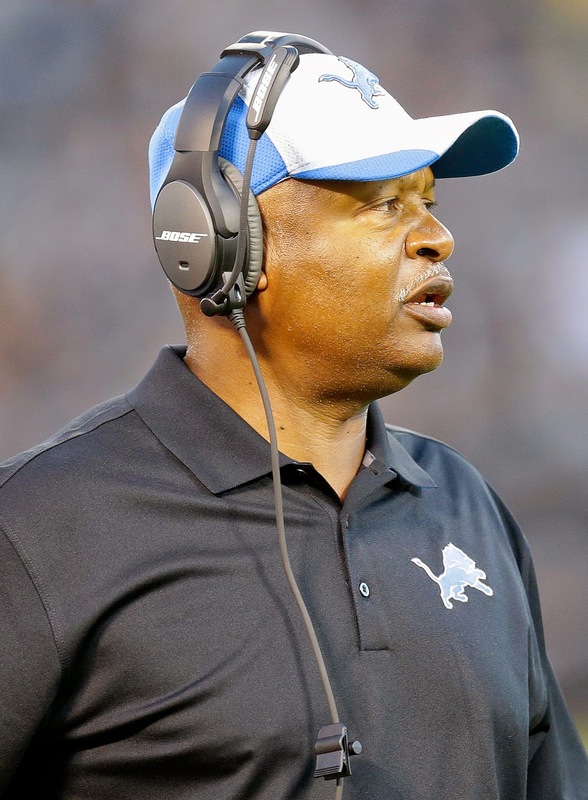 There is, obviously, a big message being sent to him by Lions' head coach Jim Caldwell and his staff. It's something they don't even have to talk about. The action is speaking much louder than any words could. They stuck with what they did during practice this week. Wasn't sure they would. - Running back George Winn might make the Lions based on special teams. Nice plays tonight. - I don't know how long the NFL is going to keep emphasizing ticky tack holding calls defensively down the field, but if it continues like this in the regular season, two things will happen. One, is the Lions' passing attack, a strength, should be nearly unstoppable, and their secondary, their weakness, will suffer mightily, as well. And two, NFL games are going to take forever and frustrate fans. I've watched a number of preseason games this year, and it's been like this all over the league. Honestly, it's ridiculous and is making a mockery of the game. You have to let 'em play. Hopefully, this won't be quite the same issue during the regular season. - Rookie linebacker Kyle Van Noy looks good tonight. He's made his presence felt both rushing the passer and dropping into coverage. He seems as versatile as advertised. - It would be good to see wide receiver Ryan Broyles get snaps with the first-team offense next week vs. Jacksonville. He's earned it with his performance in the first two preseason games.